Merckens bittersweet chocolates have an easy-to-melt quality that allows you to play up their intense dark flavor in a variety of delicious recipes. Their chocolate coatings offer an assortment of complex flavors and distinct tastes to satisfy every taste bud. From sweet strawberries to toasted almonds, Merckens bittersweet chocolates add a bold flavor and velvety texture to baked goods, ice cream and more. With Merckens bittersweet chocolate coatings you can add an irresistibly smooth glaze, rich ganache or crunchy shell to any dessert. Before you throw your next party or start another baking project, browse Royal Wholesale’s selection of Merckens bittersweet chocolates and see how easy it is to buy all of your favorites in bulk. 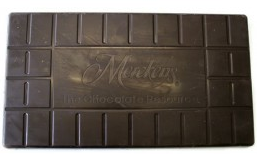 We believe that everything tastes better covered in chocolate, so enjoy the very best with Merckens.